A CANDLE of remembrance ceremony has taken place place at Lockerbie’s Ukrainian POW Chapel to remember a little known genocidal act. It was an opportunity for those of Ukrainian descent in the Lockerbie area to come together to remember the innocent victims of the Holodomor – a crime against humanity instigated by Stalin which deliberately starved to death around 4-5 million Ukrainians in 1932-33. 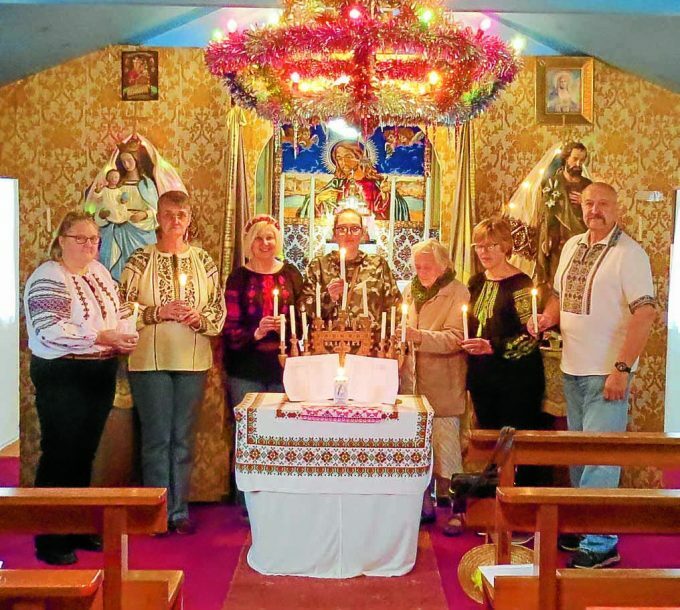 Pictured in the chapel are: Ann and Michael Ostapko, Mary Mychalyschyn, Ina Pufkyj, Linda Antoniuk, Rachel Gass, granddaughter of Michael Bodnarczuk and Dorothy Buga, wife of the late Michael Buga.